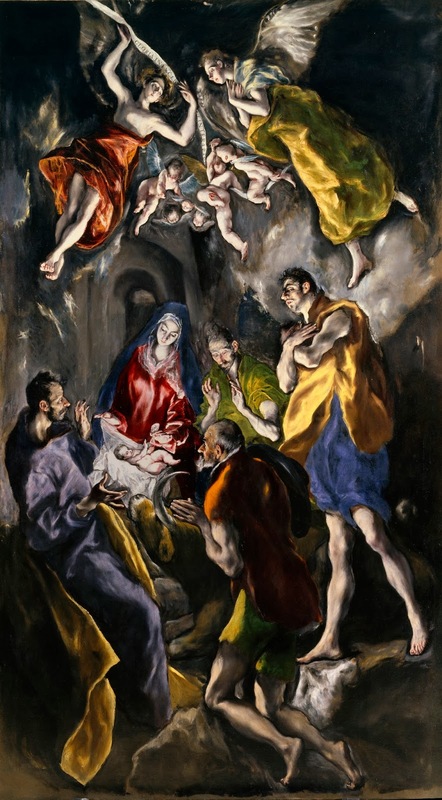 It is the painting for his family`s funerary chapel in the Church of the Convent of Santo Domingo el Antiguo in Toledo where he was eventually buried. In Lux Veritatis (published significantly on 25 December 1931), Pope Pius XI celebrated the 1500th anniversary of the Third Ecumenical Council held at Ephesus in 431. The use of Theotokos was formally affirmed at the Council. The competing view, advocated by Patriarch Nestorius of Constantinople, (with his followers "the Nestorians") was that Mary should be called Christotokos, meaning "Birth-giver of Christ," to restrict her role to the mother of Christ's humanity only and not his divine nature. The work is perfectly suitable as a work for a funerary chapel. "30. Moreover, this doctrine which has ever been handed down may be proved and con firmed, as all can see, from the dogma of man's Redemption. For how indeed could Christ be called "the firstborn among many brethren" (Romans viii. 29), or be wounded because of our iniquities (Isaias liii. 5; Matt. viii. 17), and redeem us from the servitude of sin, unless He had a human nature like as we have? And so, too, how could He make perfect satisfaction to the justice of the Heavenly Father which had been violated by mankind, unless He possessed an immense and infinite dignity by reason of His Divine Person?"